The height and the balance movement of the Jumper Balance can be adjusted via the rotatable ring. 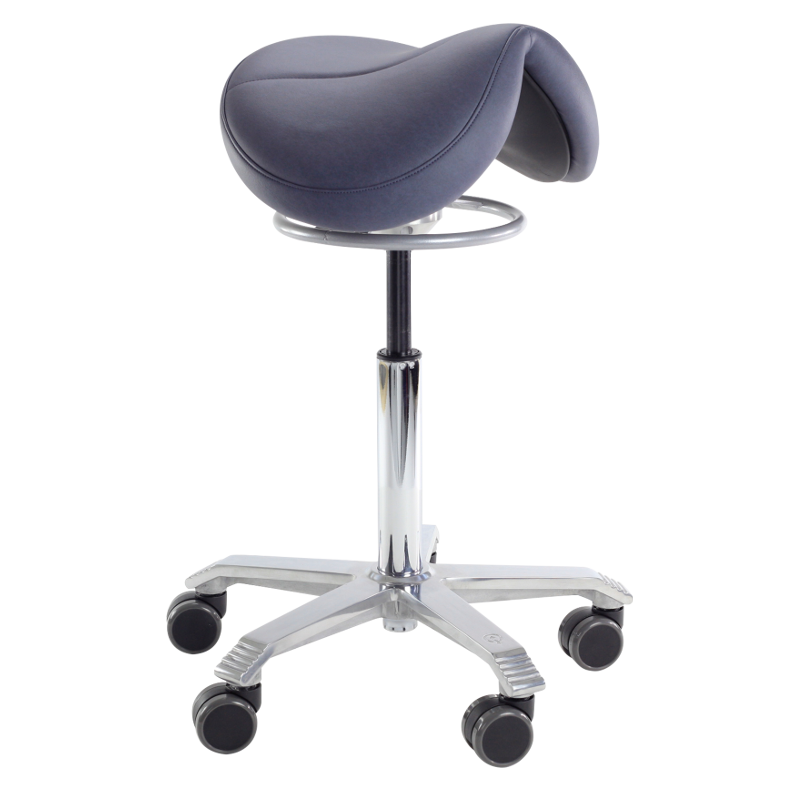 The Jumper Balance is part of the Score saddle stools range. It is wider and features the unique Balance rocking mechanism. Combined with an adjustable height range of 19cm the Jumper Balance is an ergonomic stool that encourages active sitting and can be used as a seat at a standard desk or perch at a standing desk and ensures a healthy back posture. The Jumper is the wider of the seat options, measuring 44cm across. The Score Balance models encourage “active seating” by a unique multi-directional rocking mechanism that is adjustable to your preferred level of movement. 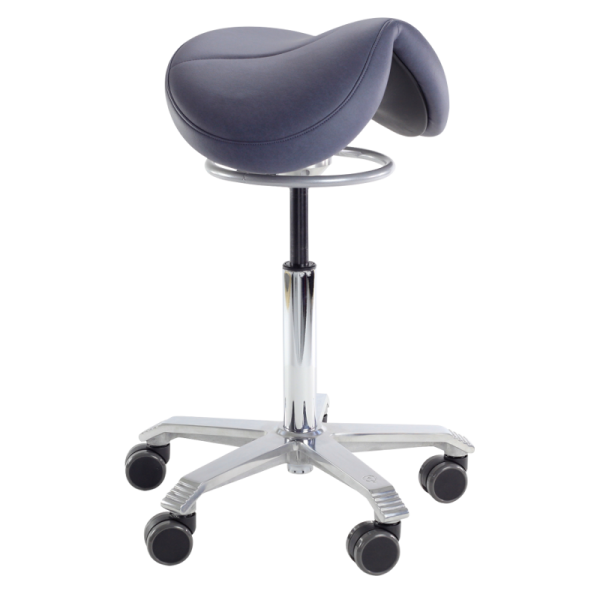 The adjustable Balance mechanism ensures that the saddle seat moves along in the same direction as the user, which balances them on the saddle seat. Wider of the seat options, measuring 44cm across. Recommended for users with a hip circumference of 104cm or more.